Gerry’s can be counted on for no-frills Pinoy food for large family celebrations, corporate lunches or for drinking with friends. This particular instance, however, saw the brief return of one of my close office friends (the one who went to greener and less stressful pastures), who offered to treat our group to lunch. Gerry’s Grill started out as a place where people can have a drink or two, with its first branch opening right here in Tomas Morato. Over the years, the brand evolved into a family restaurant, serving familiar and homegrown Filipino food. Today, Gerry’s Grill has branched out beyond the country, with outlets in the US, Qatar and Singapore. Sisig. 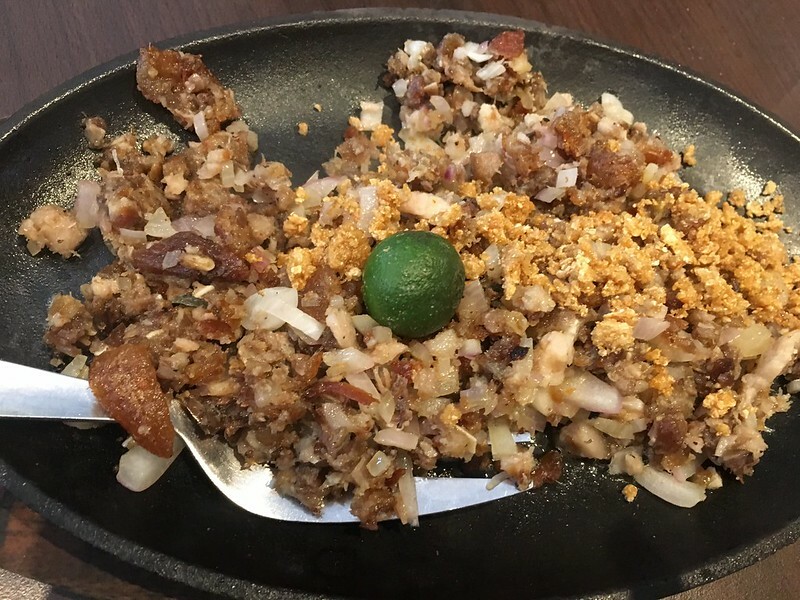 Gerry’s is famous for its crispy and savory sisig. It seems like no visit to Gerry’s is incomplete without it. 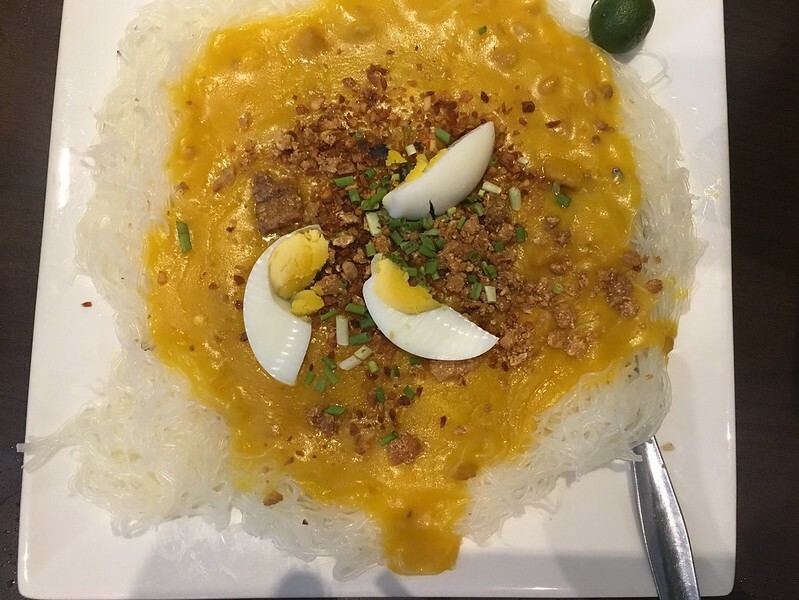 Pancit Palabok. This brings to mind meriendas in the province. 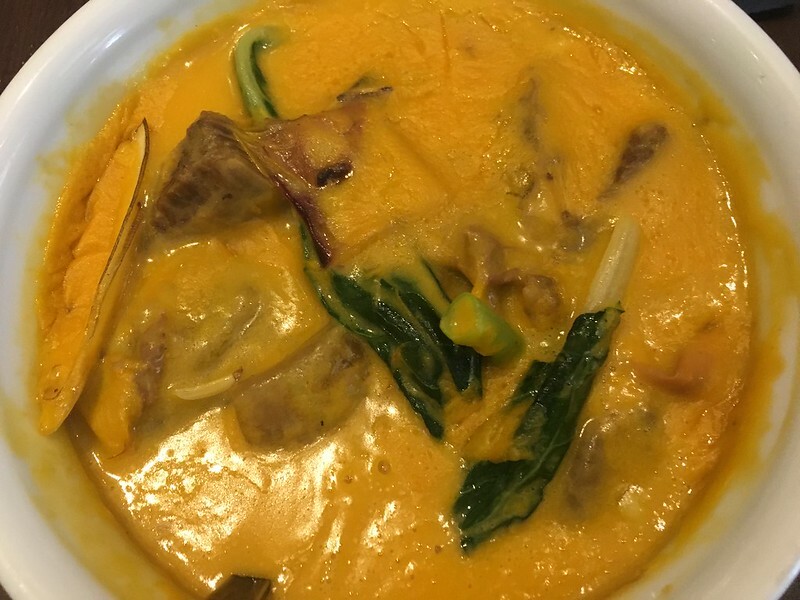 Kare Kare. With its thick peanut sauce, tender beef cuts and crisp veggies, it served as the main viand of the group meal. Spicy Chicken Wings. 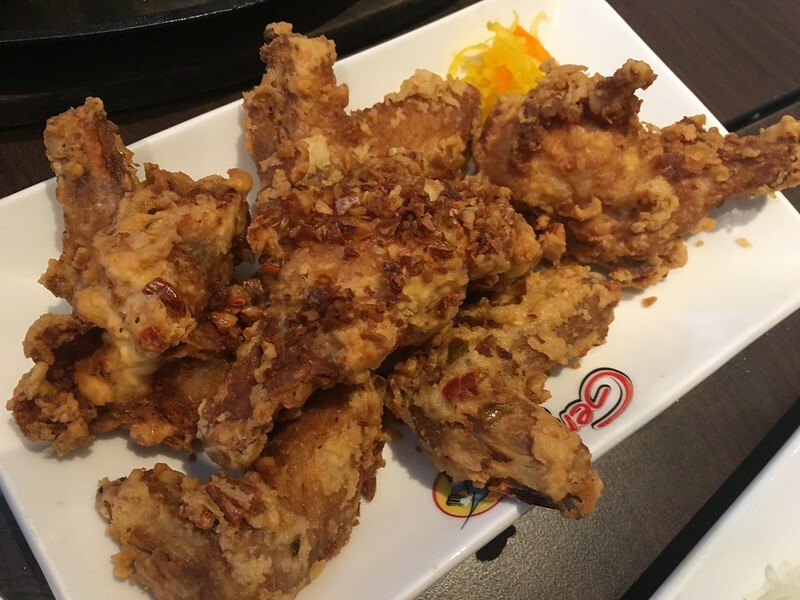 I usually shy away from spicy food but this dish offered a nice contrast in taste and texture to the other viand. 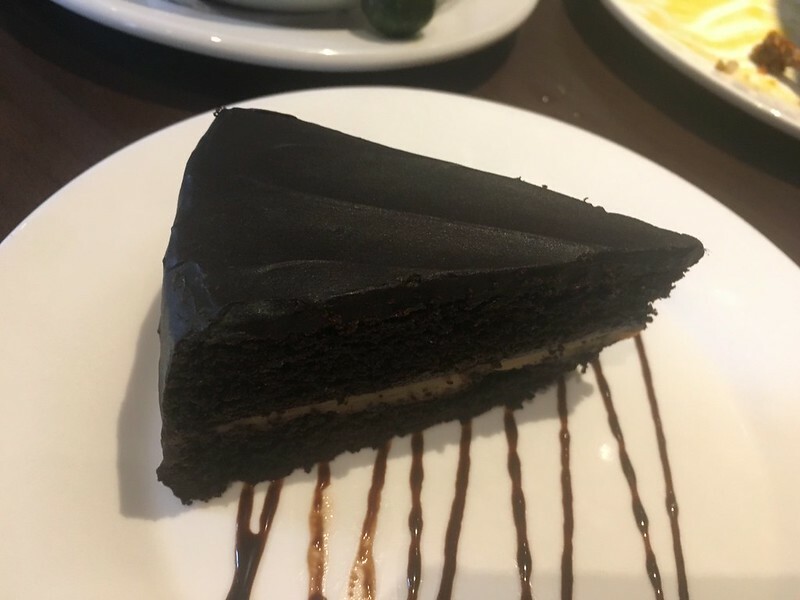 We also added Inihaw na Pusit at Php405 and a combo of two brewed coffees and a yummy moist chocolate cake for an additional Php200. It was a fun time with a good meal and spent with friends. This Gerry’s Grill branch is located at the corner of Tomas Morato and Eugenio Lopez Street, Brgy South Triangle, QC. It’s open from 10am to 2am Mondays to Thursday, 10am to 3am Fridays to Saturdays, and 10am to 1am Sundays. For reservations and inquiries, call +63 2 4159514.